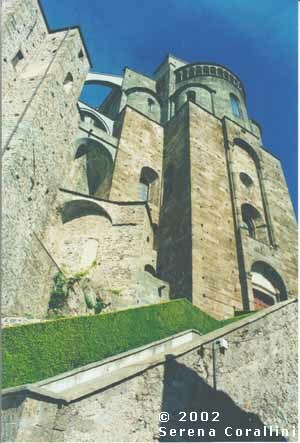 The building, one of Piedmont’s most important religious monuments, was chosen as symbol of the region itself. 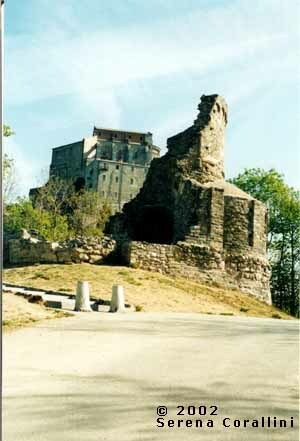 Built along the Via Francigena at the end of the 10th century as an expression of the petitions for salvation that cross the Christian world and in the fullness of the pilgrimage culture. The 12th century marks the culmination of the power of the Abbey community, rich of numerous properties which stretch even to France and Spain; later events (the Abbey was nearly destroyed by French troops in the 17th century) start the community on a gradual decline until the abolition of the monastery centre decreed by Gregorio XV in1622. 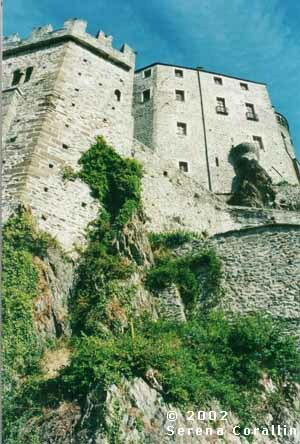 The radical turning point arrived instead at the end of the second millennium, when in the 90s the Region decided to make the Sacra the monumental symbol of Piedmont and financed substantial restoration work. It holds many sacred images and secular sculptures on its capitals, pilasters and portals. Notable, for example, are the “Portale dello Zodiaco (Zodiac Portal)”, at the top of the “Scalone dei Morti (Grand staircase of the Dead)”, or —— “La predica dei morti (Sermon of the Dead)” and the “Crocefissione (Crucifixion)” frescoes. The historical complex can be accessed by car, but also on foot, following the ancient mule track that from the habitation of St. Ambrose reaches the summit. The gradient is almost 600 metres (2 hours walking including short). You start out by following the indications that begin behind the parochial church, and along the path are the stations of a Via Crucis. Having reached the terrace with a view one has the impression that they are sharing with Michael the Archangel that wide and magnificent panoramic space. Coming from Turin follow the S.S. 25 del Monginevro to Avigliana. Then proceed running along Lago Grande and turning right towards Giaveno along the strip of land that separates the two lakes. From there begins a steep climb which takes you to the village of San Pietro. One last hill conducts you to Colle della Croce Nera (872 m), from which starts the little road (closed to vehicles) which climbs to Sepolcro dei Monaci and to the entrance of the sacred fence of the Abbey.